Monarch butterflies are the most beautiful of all butterflies, some say, and are considered the “king” of the butterflies, hence the name “monarch”. • The Monarch butterflies go through prolonged stages of metamorphoses, starting with its larva or caterpillar, shedding or molting its skin an amazing five times before the pupa stage. 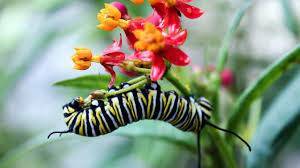 • The caterpillar is a voracious eater, capable of consuming an entire milkweed leaf in less than five minutes. They gain about 2700 times their original weight, and in the process, excrete an abundant quantity of “frass” (or waste). 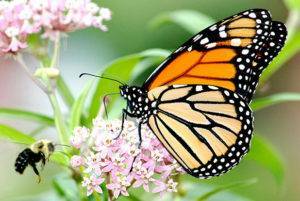 • The Monarch butterfly can cumulatively lay about a maximum of 250 eggs per day at the rate of one egg at a time. • Monarch butterflies store a poison called Cardiac Glycosides that they had ingested by feeding on the leaves of the milkweed foliage in their larva stage. These are sometimes harmful to its vertebrate predators, but ineffective on invertebrate predators. The toxic effect on vertebrates however, depends on the level of intake. These toxins provide these butterflies with a poisonous defense against its predators such as lizards, birds, and frogs. *Monarch butterflies go through four stages during one life cycle, and through four generations in one year. It’s a little confusing but keep reading and you will understand. 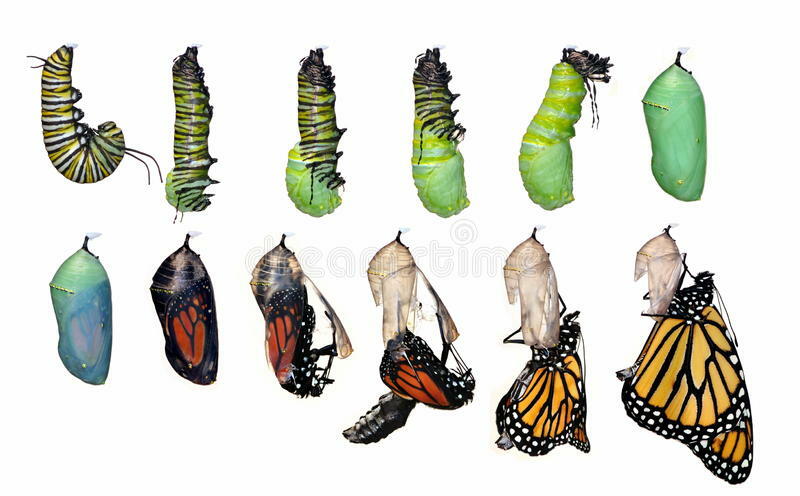 The four stages of the monarch butterfly life cycle are the egg, the larvae (caterpillar), the pupa (chrysalis), and the adult butterfly. The four generations are actually four different butterflies going through these four stages during one year until it is time to start over again with stage one and generation one. *It is really strange that the four generations of these butterflies are constituted by 4 separate butterflies that complete the 4 unique phases in just one year. After this, they restart the same cycle, commencing with the primary stage of the first generation. February & March: Locate a mate, head north and search for an ideal place to lay their eggs. March-April: They lay their eggs on the leaves of milkweed plants. 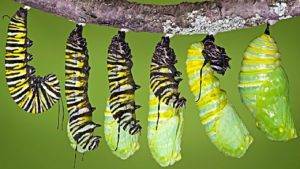 The larvae eat, grow and metamorphose into a chrysalis. In March and April the eggs are laid on milkweed plants. They hatch into baby caterpillars, also called the larvae. It takes about four days for the eggs to hatch. Then the baby caterpillar doesn’t do much more than eat the milkweed in order to grow. After about two weeks, the caterpillar will be fully-grown and find a place to attach itself so that it can start the process of metamorphosis. It will attach itself to a stem or a leaf using silk and transform into a chrysalis. Although, from the outside, the 10 days of the chrysalis phase seems to be a time when nothing is happening, it is really a time of rapid change. Within the chrysalis the old body parts of the caterpillar are undergoing a remarkable transformation, called metamorphosis, to become the beautiful parts that make up the butterfly that will emerge. The monarch butterfly will emerge from the pupa and fly away, feeding on flowers and just enjoying the short life it has left, which is only about two to six weeks. This first generation monarch butterfly will then die after laying eggs for generation number two. May-June: The third generation butterflies live out a life-cycle like the first generation. They then perish in about fifteen to fifty days after metamorphosing into spectacular adult monarch butterflies. This generation repeats the processes the other three generations of Monarch butterflies underwent, but with the one crucial difference of traveling (migrating) to California through Mexico to enjoy the warmer climate there. They live for six to eight months until they again get ready to undertake the return migration. Note: In effect, the fourth generation of the Monarch butterflies are the only ones that migrate, as, sadly, the butterflies of the first three generations hardly survive beyond 6 weeks of emerging from their pupas. • How these butterflies take a particular direction for migration is an unsolved mystery of our generation. Maybe one can attribute it to instinct or programming? 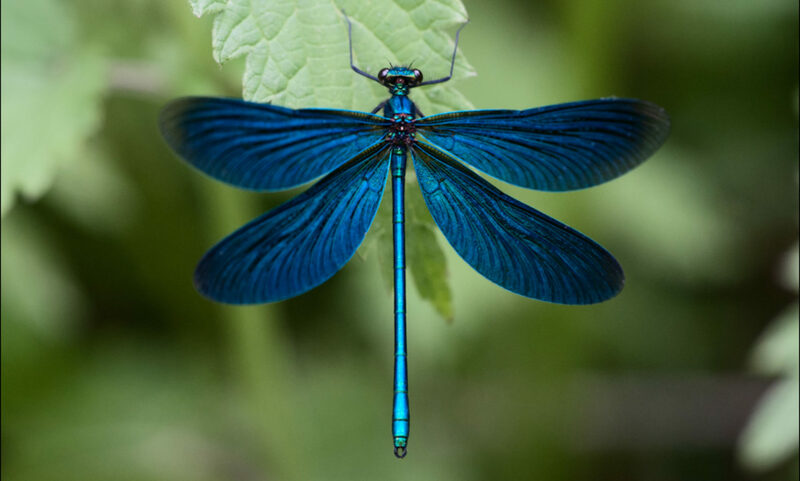 • They fly at speeds ranging between 12 to 25 miles an hour. • Similar to the migrating birds, the monarch butterflies use the clear advantage of updrafts of warm air, called “thermals” and glide as they migrate, to preserve the energy required for flapping their wings all the through the long 2500 mile voyage from the Great Lakes in Canada to the warm Central Mexican Oyamel fir forests in the Michoacan hills. They rest there through winter and then complete their migration Northwards in search of milkweed plants in the Eastern United States. • At the wintering sites in Mexico, they roost in the millions in huge groups in the trees. 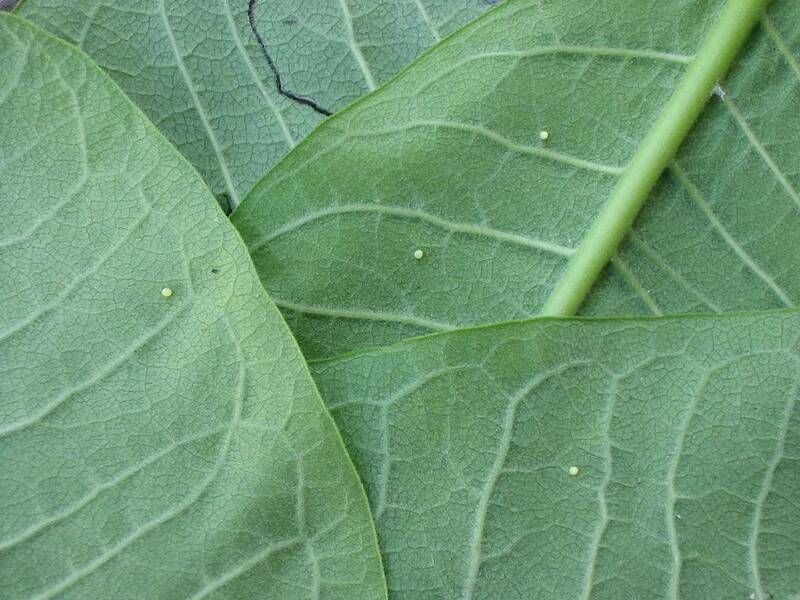 The females will lay their eggs on the milkweed leaves, and the cycle goes on until the next fourth generation starts the return migration to complete the cycle north in the spring. Native Indian legends say: If you have a secret wish, find a butterfly and whisper your wish to it. When you release the butterfly, it will carry your wish to the Great Spirit. By setting the butterfly free, you are helping to restore the balance of nature, and your wish will surely be granted.